The LaCie Porsche design mobile drive welds forward-thinking technology from LaCie with immaculate style from Porsche design. It features reversible USB-C connectivity for next-generation computers as well as compatibility with those PC and Mac computers with USB 3.0 ports. 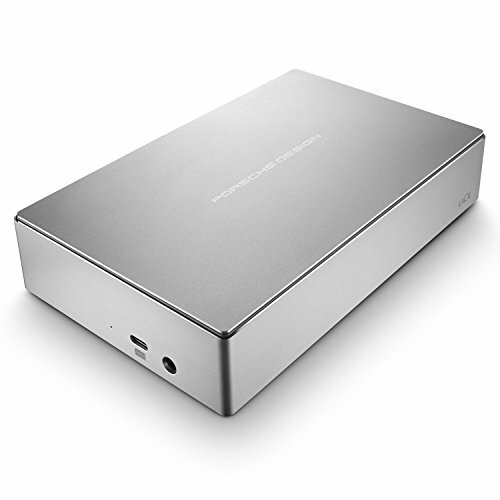 What’s more, the LaCie Porsche design desktop drive actually charges your USB-C laptop’s battery. So just a single USB-C cable powers your notebook and gives you access to the drive at the same time. It also delivers speeds of up to 5 Gb/s, so you can drag and drop files and perform backups quickly. With its minimalist, all-aluminum enclosure, this product is lightweight but also feels sturdy and substantial in your hands.